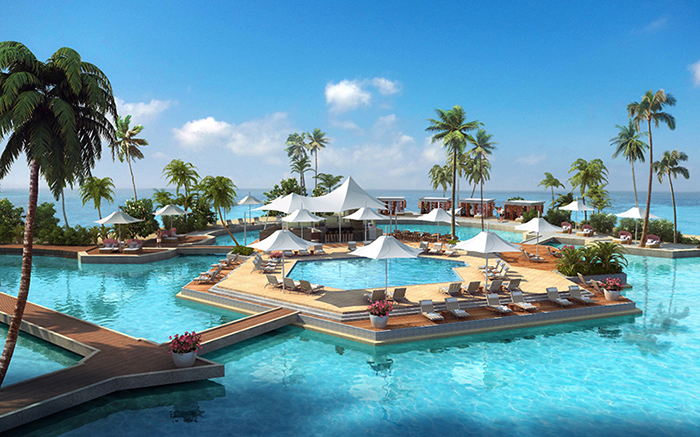 One of the world’s most sought-after and exclusive holiday destinations, One&Only Hayman Island, recently re-opened following an extensive refurbishment, costing $80 million. 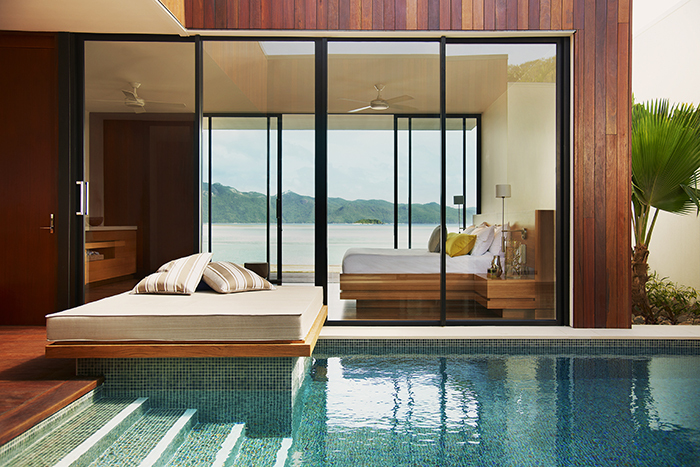 The Barrier Reef island resort, nestled at the northernmost point of the Whitsunday archipelago, offers stylish elegance and beautifully appointed accommodation to elite guests who are paying from $790 per night for a room, up to $7,950 per night for a three-bedroom penthouse with butler. In charge of the refurbishment was Gold Coast interior design firm, DBI Design. One of the key challenges for the team at DBI was to come up with some very special materials that would appeal to the resort’s upmarket clients and support the premium reputation of the One&Only brand, which operates numerous exclusive destinations around the globe. To embellish a number of the project’s key areas, the designers selected Bisazza mosaic, with the creative team choosing from various collections. In fact, Bisazza mosaic plays a large part in the refurbishment, appearing in the resort’s exclusive Italian restaurant, the Oriental restaurant and the Lagoon restaurant, as well as the amenities. 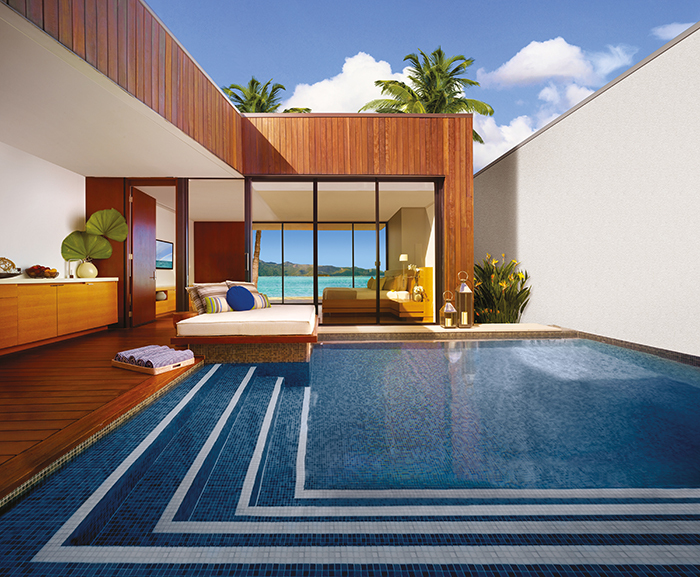 The redeveloped pool wing features ground floor suites, where guests are able to step off their private terrace, straight into the water. Bisazza mosaic also features here, with the large central pool alone requiring 273sqm – a total of 2,730 sheets, which amounts to over half a million tesserae. “The transformational refurbishment combined with One&Only’s innovation and commitment to delivering an extraordinary level of service will redefine luxury travel in Australia,” said Mr Seng Huang Lee of Mulpha, the Island’s owners. Whichever way you look at it, this extraordinary project sets a new benchmark for luxury travel and reaffirms Bisazza mosaic as the ultimate choice of the world’s discerning and design conscious.